Maggie On The Walking Dead: Where Is Your Pregnant Belly? Lady and the Blog → Movie and TV Reviews → Maggie On The Walking Dead: Where Is Your Pregnant Belly? Maggie From The Walking Dead is killing me, people. Like, zombie murdering me! I love the Walking Dead. I really do! But there are only so many episodes I can watch and see Maggie walking around with a tucked in shirt and a 6 pack. I get that food is scarce. I get the writers need to keep her in charge and they don’t want to place her on bedrest. But my goodness, pop a pillow under her button down and let’s get serious! She’s been pregnant for several seasons now and I don’t see any progress. I ate pancakes this morning and have more of a bump than she does. Do you watch the Walking Dead? Are you a fan of the AMC show? My husband and I never miss an episode (RIP CARRRLLLLL). 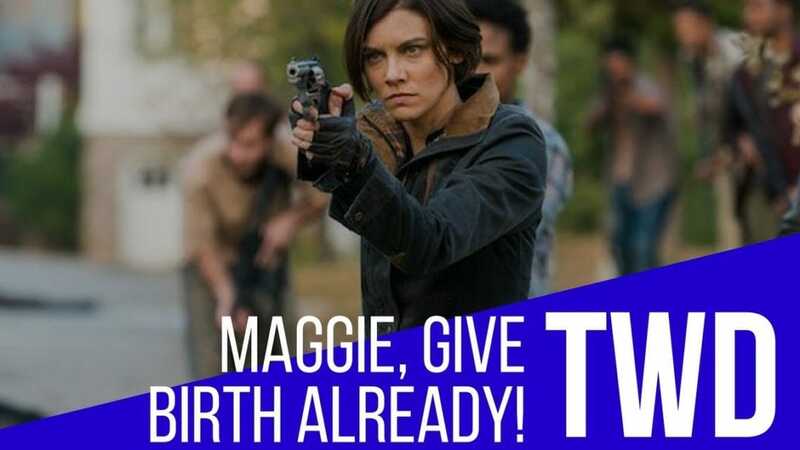 But seriously, I am just getting to the point where Maggie’s pregnancy is becoming more unrealistic than the zombie apocalypse and that’s a lot to admit. Maggie on the Walking Dead is more unrealistic than the apocalypse. There I said it! Here’s my full take. Watch the video and let me know what you think. Want more YouTube videos from me and my family? Be sure to subscribe to our YouTube Channel.